Our Gifts Of (red heart)! 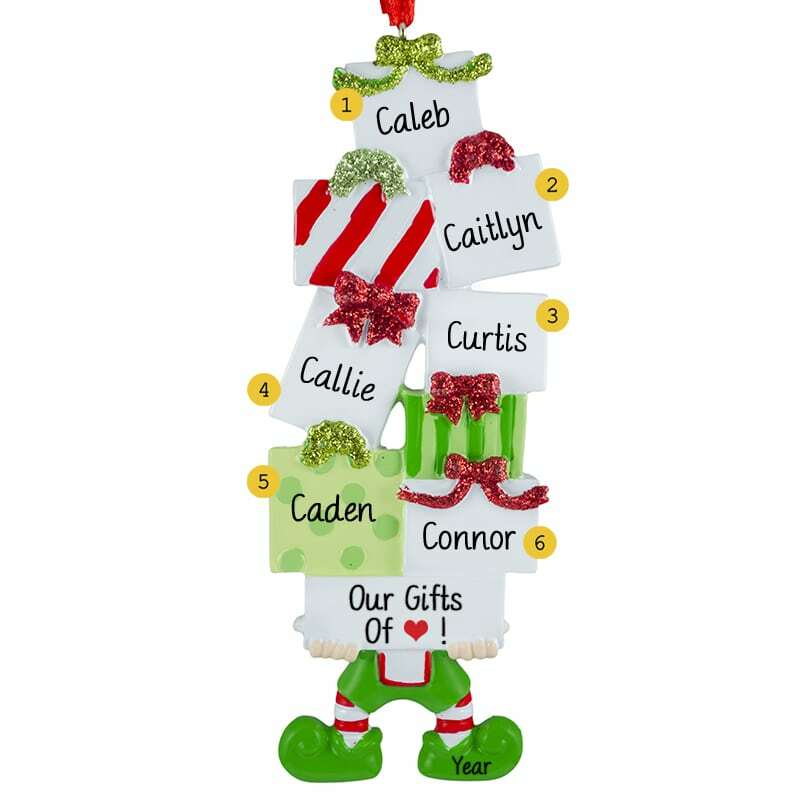 Our gift-laden elf ornament is a really cute way to celebrate a family or group of six. Our own talented elves will hand write names on the boxes, as well as the year, at no extra cost!